Creating legendary cigars since 1918, Altadis U.S.A. is responsible for many of the world's most famous brands. The Dominican Luxury Sampler offers you the opportunity to taste some of the great smokes that this renowned company has to offer. Featuring an all –star lineup, including Casa de Garcia, H. Upmann, Montecristo, and Romeo y Julieta presented in their original blend, along with many distinguished line extensions and wrapper shades. The perfect presentation for just about anyone that appreciates the very best cigars. Includes: 1 H. Upmann, 2 Casa de Garcías, 3 Montecristos, and 4 Romeo y Julietas. This Dominican sampler use come with 10 premium toros, now they put "2 CRAP" Casa de Garcia's into the mix, and believe me, they are Crap. And they don't seem to be all Toro's. Good assortment of medium bodied smokes. Two were not tightly rolled and fell apart; remainder were great. Best of the Best. JR Cigars always deliver the best quality smoke. Highly recommend. You will not be disappointed every one of them were great. Will buy again. First time I've order from Jr.'s ordered overnight express and I got them the next day unlike Mike's cigar. Where I order express and still took 3 days to get them.. Oh well them sampler is definitely a good choice all the sticks where delightful to smoke so far..
Dominicans are the best, and for the variety and price of this sampler you can't go wrong! Cigars are what I expected. However I paid $36 for Saturday shipping and received it a week later, not happy with your shipping department. Great value pricing, but I agree with previous reviewers - the Casa de Garcia cigars are terrible. All great tasting cigars, though the burn on a couple was a bit uneven. Biggest disappointment was the R y J Cabinet Selection which had a "stem" (can't call something that thick a vein) that ran the entire length of the cigar--ruined the entire experience. Fortunately, came back strong with the Montecristo White Series. I was asked to review the product but it still has yet to be delivered - ordered 12/21/18 and today’s date is 1/7/19. Some cigar wrapper leaves very dry and fall apart. I couldn't agree more with the reviewer of 02/09/17. I have NEVER had a Casa deGarcia that was worth a damn. Everyone has canoed and has a bitter taste, If you get these as part of a sampler just save time and throw them away. Good selection and decent quality sticks. None that are amazing but none that are bad. Great win off beat the dealer! This is a great sampler except for the Casa de Carcia cigars. I wish the would not have included them in this sampler, IMOA the H.Upmann and the Platinum series Montecristo where the best ones. Definitely would buy this sampler again! 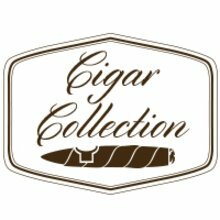 I have tried several of these cigars and was not disappointed. You cannot go wrong with monticristo and romeos.